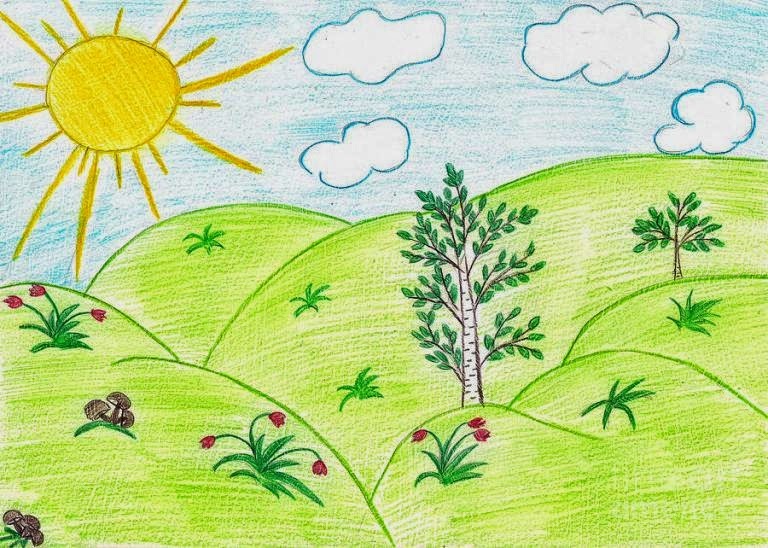 Do you remember how as a child you used to draw pictures of landscapes? You probably represented the sky as a strip of blue at the top of the paper, because you knew the sky was over your head, like this. A few years later, your brain matured and you began to see the sky as it actually exists in your world. It's not simply over your head, it extends down to the horizon as well, and your pictures started to look like this. What happened? 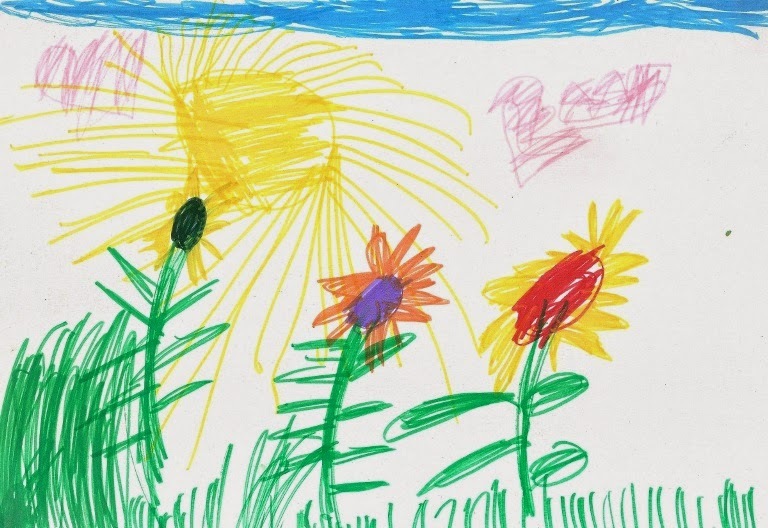 You began to draw what you see, not what you know is there. What color grey is the interior of the F-16? What is the FS color used for inert AIM-9 Sidewinders? What paint should I use for tires? How do you paint a black aircraft? My answer is almost always the same: Paint what you see, not what you know is there. Too often we look for documented standards and out-of-the-bottle solutions for questions like these. In our search for accuracy we want a paint specifically called "tire black" or the FS number for those missiles. Instead we should be using our observational skills to look -- really look -- at the tires of aircraft and ask ourselves, "What color do I see? I know it's rubber, but what color is it?" When you do that, you'll find yourself seeing tones of grey, possibly with bluish or reddish tones. You'll probably notice that the color isn't consistent across the entire tire. The part that makes contact with the ground may be lighter than the sidewalls. It may be dirty. The tire may even be stained from fluids dripping from the underside of the aircraft. If you're looking at photos of an inert Sidewinder, what shade of blue is it? Dark, light, medium? It is a pure blue or faded? Look at the blue in that jar of Tamiya XF-8 on your workbench. Is it a close match? Oh, you say it's not? Would it be closer with a drop of two of white? Would the result be so far off from FS 35109 that your friends, rivet counters, and IPMS judges will laugh at you? Probably not. 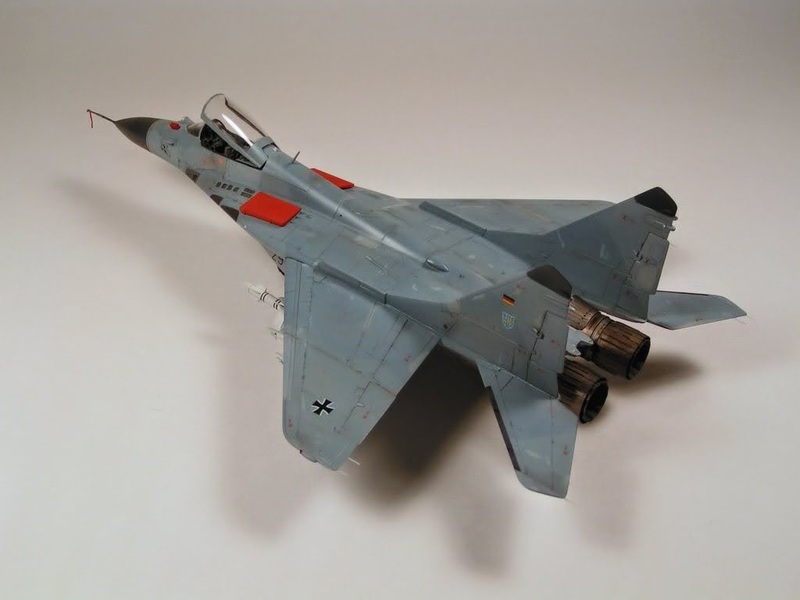 Years ago I built this model, an Italeri 1/72 MiG-29. I knew I wanted it in West German markings and had the appropriate color references, but because I use Tamiya almost exclusively I couldn't simply buy the colors I needed. I had to mix them from scratch, using colors that were close but requiring some adjustment to get right. The result, I think, looks pretty good. One of the grey might not stand up to a paint chip of FS 36320, but when viewed in my display case or on a table at a contest, it looks convincing. My suggestion is to become a student of color. Familiarize yourself with color theory and the color wheel associated with it. Study photographs closely. Look beyond what you intuitively know is there and study what actually exists in front of you. This will make you a better modeler, particularly when you don't have easy, off-the-shelf solutions. Great point Steven! Direct light, reflected light and adjacent colors are enough to completely change your perception of a particular color. Trying for a direct match is not worth the time! Observation is another great point. What color is a tree trunk? Hint: it is almost never brown!